Most major dealerships have demonstrator bikes for you to try before you buy. Here are a few tips by WeWantYourMotorbike.com to think about before you turn up and throw a leg over the bike of your dreams. You’ve been to the motorcycle show and sat on all the bikes and compared those you like, to those you don’t. You’ve picked up all the brochures, thumbed through all the magazines, been on the internet and spoken to all your mates about the bike you want. You’ve almost made the decision. The only thing left to do now, is to ride it. So, how do you go about riding the bike, before you hand over your hard earned cash? 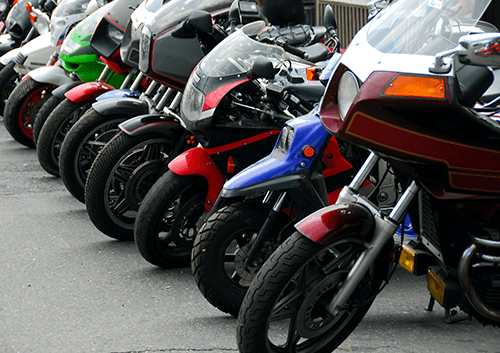 Test rides are becoming much more popular these days and they are freely available to motorcyclists at most major dealerships. You can book them on the internet or over the phone. It sounds easy, but is it? Rule number 1: Don’t forget your licence and make sure you take your own riding gear with you. Don’t expect the dealer to provide you with a helmet, jacket, boots and gloves. There are stories of some people turning up in the summer dressed in shorts and flip flops; not a good start. The dealership, as a business, should have an insurance policy that covers test rides on their demo bikes. This policy will most likely have criteria that will stipulate age and licence status. Check with your bike shop before you go to ensure that you meet all the requirements set out in the policy. It’s no good trying to blag your way out of it once you’re there - a responsible dealer will only show you the door you’ve just walked through. In the end it’s prudent to check that they have adequate cover in place. 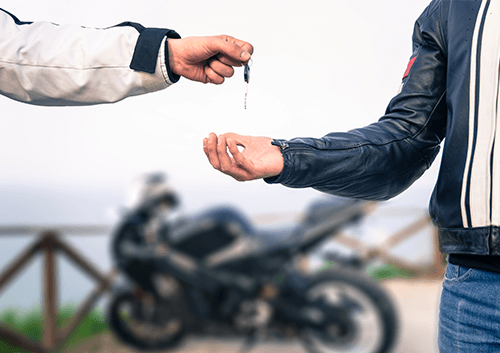 Some policies restrict the test-rider in terms of age, length of licence, number of claims and any refusals so always double check the wording on the policy. Read through everything carefully before you sign on the dotted line. Most policies also contain clauses in terms of damage whilst the vehicle is in your care; it’s worth checking these too. If the dealership doesn’t normally provide demo bikes, then keep an eye out for an Open Day – if they’re a franchised dealer they’ll usually have them once a year – when they’ll have factory support that’ll provide a demo fleet for the day. Assuming everything is all go and you’re all geared up with the key in the ignition just take a moment to think. Every bike feels different, so make sure the bike feels right to you before you set off. You may well have been on the same bike with the stand down or sat on while it was secured to a stand at a motorcycle show, but it can feel a whole lot different when it’s just you that’s holding it up. Take a moment to check the mirrors, the footrests, rear brake and gear lever. Make sure you can reach the front brake and clutch lever with your fingers. Know where all the lights and indicators are and above all, check the amount of effort needed to engage the clutch with the throttle. It’s always good to stick to the roads you know. If the dealer is local that won’t be a problem. If not, and depending on how much time the dealer allows you, it’s a good idea to ask them where you can go to give the bike a good ride. I’ve also known dealers ride out with customers to show them best roads to test a bike. Once you’re feeling relaxed on the bike, try accelerating and braking and pay attention to the way the bike handles and how it feels. When you do this ask yourself questions: Is it smooth, and are the gears easy to find? Is the power delivery to your liking? Does the bike pull away easily from traffic lights? Is there enough initial bite when braking to make you feel secure during an emergency stop? If the bike has ABS (anti-lock brakes) test them properly to make sure you’re happy with them. They’re not everyone’s cup of tea. When you’re satisfied and your test is over, don’t feel you’re under any obligation to buy. Take time to think about it, you may want to try another bike to compare and most dealers will understand this; it’s all part of the process. When it comes to a private sale, test riding is another matter. If you already have fully comprehensive insurance that includes ‘Riding Other Bikes’, it should cover you to ride a bike you don’t own. There are conditions to this though: the other bike has to be insured, and you have to have the owner’s permission to ride it. It’s complicated, so a quick call to your insurance company is a good idea to clear up any doubt. The small print can be a big issue if you’re not covered. Cover is usually Third Party Only this way. If the bike gets damaged, things could get even more complicated, so it’s a good idea to whip out your phone again and take a few photos of the bike before you take it for a run. It’s also good to have an agreement with the owner as to what will happen in the event of any possible damage. Once you’re on the bike, all the points mentioned earlier apply, but pay special attention to any noises at constant speed. Do the brakes feel spongy? Do they squeal or judder? Does the clutch slip? Do the gears feel smooth when you shift up and down? It’s worth making up your very own tick-box checklist list before you go and see a bike. Once all the boxes are ticked, you’ll find it a lot easier to make a decision. In the end it’s all down to good old common sense and this article is just a guide to help you think about all the things you’ll need to do before, during and after any test ride. 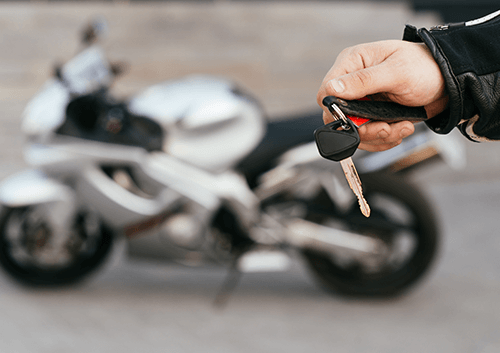 We understand that buying a motorcycle is a big decision and hopefully these basic guidelines will help you choose the right bike, before you make that decision.